The last couple of days I visited the summit of Montagne des Allebasses twice, and each time the weather conditions were totally different. This is what makes going back to the same location so interesting, it never looks the same and light conditions change very rapidly, especially when you’re on a high altitude. I just love walking into the emptiness with my snow shoes. The sound, the view of such a huge open space in-front of my eyes make me feel so small. Sometimes the overwhelming beauty of such a scenery, the emptiness around me can be difficult to capture in just one shot. It’s at that moment that I am happy to see lines in the field, or fox-tracks. 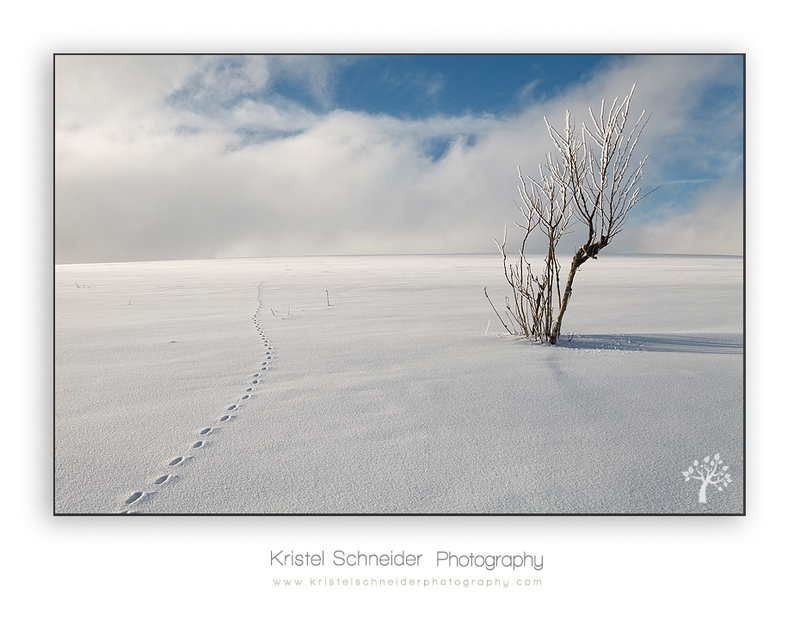 I just want to follow these tracks and explore the same route this animal followed before I did. You can see the zigzag in the open field, wandering, looking for food. Following the route, it was important for me not to step into hidden holes the wetland is known to have underneath the snow. 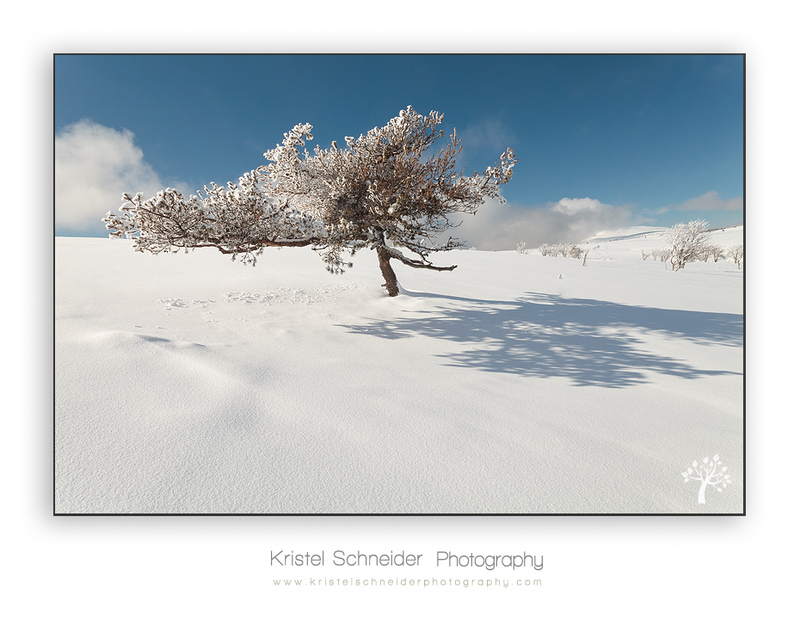 The trees on the summit were not totally covered with snow anymore, the warm temperatures had removed the heavy loads from the branches. But there was just enough left for me to capture the winter spirit. On the second day there was a lot of wind and the sun was already very low. The summit did not only feel cold but it also looked very cold. 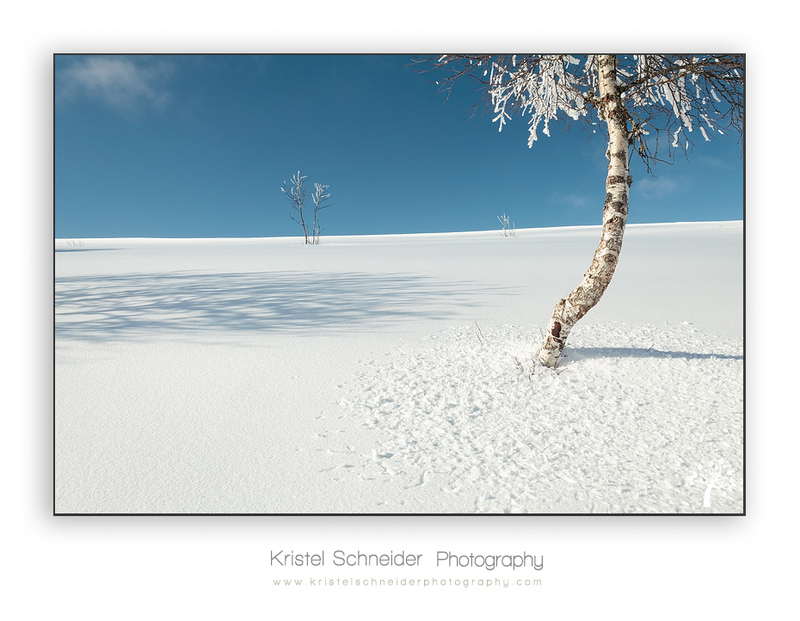 The peaceful empty scene of the day before had now transformed into a rough textured snow field. The wind was blowing the snow over the ground and the sunlight was changing fast with the moving clouds in the back. There was no use of putting on my tripod and because of the low angle I chose I had to be very careful not to get the full blast into the camera lens. And at one point I was not alone anymore, two people and a dog popped-up from behind, this made my ‘empty’ scene look totally different again. Lovely scene. That low angle, wind swept landscape is stunning. Well seen and captured. Thank you for your immage, This is the kind of photo that j prefer, Also me take (j try ) this pictures.The spoors carry you to the sky and the snow’s grain it’s wonderful ! Great photo !